How my first experience driving in London demonstrated my Top Gear Personality type. 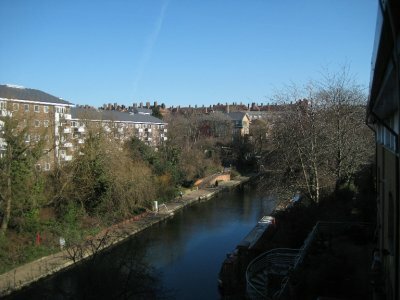 I moved yesterday from Isle of Dogs to a flat near King's Cross Station in Islington. It's a nice place, right on the Regent's Canal. In fact, my room looks out over the canal, and as I type this, I can look out my window and see ducks swimming down the canal. The water is so smooth that the ducks swimming create a visible and long wake. To move, I rented a car. I don't have a lot of stuff, but it would have taken more than one trip on the tube, and with the typical weekend shut downs for scheduled maintenance, the trip would have required 3 trains, with 2 changes involving some significant stairs. While the car made the most sense, I was quite scared with the whole concept. I've never driven in the UK, and only once driven in a car with the steering wheel on the right, and that was on the rather laid-back and traffic free island of Tobago. The car on Tobago was an automatic, and my drive in the UK would be manual. I'm fine with driving a manual car, but I'd never done it when I would have to shift with my left and not my right hand. I picked up my car from Alamo. 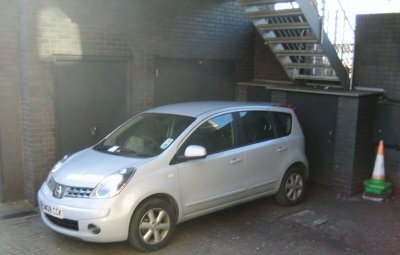 It was a Nissan Note, a car I had never even heard of before. It definitely did not look like a North American car. Most of the cars I see here don't look very North American. They are tend to be smaller, taller with wheels all pushed out to the very corners of the vehicle. The hatchback is king here - probably half the cars on the road have 5 doors. Despite gripping the wheel with whiteknuckles and shallow breath, I actually settled into driving quite quickly. Shifting with the left hand wasn't at all weird. Despite fears I would constantly be turning into the wrong lane and face oncoming, angry and possibly deadly traffic, I found cornering fine, mostly because you are taking concious action when turning. It was when I wasn't thinking on the straight bits that I would find myself drifting to my left, mostly so that my position on the road would be to the left of the lane. Other than once when my mirror clipped a plastic barrier, though, it didn't cause any problems. The scariest thing had nothing to do with the side of the road I was on, but rather the fact that London roads are small and narrow. 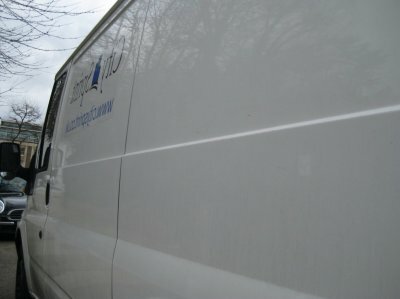 Especially when you have a white panel van beside you, looming over you and casting you in it's shadow, things can get hairy. I would usually just ease off the gas a bit and let the panel van get in front of me, giving me a little breathing room. Good Christian driving, as James May might say. Letting someone in is something that Captain Slow might do, but not a move for The Stig. If you are a boy and live in the UK, as I am (a boy) and I do (live in the UK), you will know how the people mentioned in the last paragraph are, and you probably know what happens on Sunday nights at seven on the BBC 2. You will know that Sundays at seven are when BBC 2 shows Top Gear. Top Gear is a motoring program. Like motoring programs in Canada or the USA, they review new cars. Unlike motoring programs that I have seen in Canada or the USA, they do it in a very different way, for example seeing if you can get away from baddies by driving the car through a mall, or storming a beach with the Royal Marines. (If you haven't seen these clips - go to the BBC site, or find them on Youtube in not in the UK. I would post links to the videos on Youtube, but they tend to get deleted quickly due to copyright infringement issues). As an aside, I originally would have thought that Top Gear wouldn't appeal to a female demographic, but I have been quite amazed by the number of girls here in the UK who watch the program. I won't go so far as to say that the somewhat childish program about cars has appeal across both genders, because perhaps there is something about the class of women I know that makes them more likely to like boys acting silly in cars. The show is hosted by three automotive journalists. Jeremy Clarkson writes for the Times, and is considered by most the leader of pack when it comes to the Top Gear trio. Richard Hammond writes for the Mirror, and is the pretty boy of the pack. James May, automotive columnist for the Telegraph, is the bookish, fuddy-duddy of the gang. Clarkson, known as Jezza, and Hammond (sometimes known as the Hamster, but not too often - more often he is teased about his hair and his teeth (which may or may not have had work done on them)) call May “Captain Slow” for both his cautious driving style and the fact that he owns a Fiat Panda. Often, though, they just want to see how fast the car can go. In these cases, the “tame racing driver” presumably tranquillised after the Monaco Grand prix and transported to Top Gear’s offices at the Dunsfold Aerodrome, takes over the driving and drives the car around the Top Gear test track. The driver, known only as The Stig, is a figure of much mystery here in the UK. His identity is a highly guarded secret, and is the ninth most asked question on the internet. Number one was “Am I pregnant?” Even had a video of the potential conception moment been posted on the web (which it quite possibly could be), I don’t think Google can answer that. There have been rumours posted on the internet, most recently regarding Bristol-based racer Ben Collins being the driver, but nothing has been confirmed. All I know is that I am not The Stig, so let me confirm that now for the Internet. That’s 1 down, only 6,760,033,985 other potential candidates out there. Since arriving in London, I have watched as much of Top Gear as I can, which is a whole lot of Top Gear. Not only does the BBC show the show, but it appears in reruns on another station (called, strangely, Dave) about 6 times a day. One of the parts of the show I like the best is when they travel some place exotic. This often takes the form of a race, where two of the hosts, in some form of presumably fast transport, race against the other host in a car. Often Clarkson drives the car, with Hammond and May taking some other form of transport. Past races have included Clarkson driving from Alba to London while May flew his private plane; May and Hammond on the Shinkansen bullet train racing across Japan while Jezza drove a Nissan; Clarkson driving the long way around to Oslo while Hammond and May took the train, a ferry, more trains and finally a speed boat to try and beat Clarkson; and Clarkson and May driving a car to the North Pole, while Hammond tried to beat them using a dog sled. Besides of the obvious comic value of these races (that Clarkson seems to win disproportionately), it is also great to see the exotic locations through which the races pass, some of which I have visited, and some of which are on my list of places to see. They also do cheap car challenges, where they go some place and try and buy a car for some amount of money, and then do an epic drive. The most recent series of Top Gear concluded with May, Clarkson and Hammond being given 15 million đồng to purchase a vehicle tin Ho Chi Minh City, also known as Saigon. It soon became clear to the boys that the amount of money they had wouldn’t buy a car, but could buy a motorcycle. Hammond and May, both bikers, loved the challenge. Clarkson, who thinks of motorcycling as akin to loading a gun and shooting it at oneself repeatedly, was not amused. However, they all ended up getting their bikes and setting off on a 1000 mile journey from Ho Chi Minh to Ha Long Bay. Along the way, they obviously had to fed themselves. May and Clarkson happily ate the Vietnamese cuisine, while Hammond seemed to starve himself until he could find a bowl of Rice Krispies. I think all of us boys in the UK who sit around and watch BBC 2 on Sundays at seven probably like to think about which of the hosts we are most like. Am I like Clarkson, the witty, acerbic A-type leader with definitive black and white opinions? Am I the good-looking, bass-guitar playing dashing Richard Hammond? Am I the mysterious, never seen, fast as stink Stig? The answer for me to those questions is a big no. I have noted that Captain Slow and I seem to share a number of traits. I’m a little bit dorky, a little brainy, not very flashy with a penchant for arcane interests. I don’t think I would have much hope of beating anybody in a car race in London, given the cautious, Christian driving, Captain slow approach I took yesterday to the white panel van problem. That being said, though, I'm not so sad to find out that I am Captain Slow. After all, he was happy eating the local food and drinking in the local history, and in one case the local drink of vodka and snake blood. I like to think that I am the same type of guy - who will take the chances, try and understand the history and psyche of a place to get a deeper more meaningful experience from it. Even if that means I lose more car races than I win. 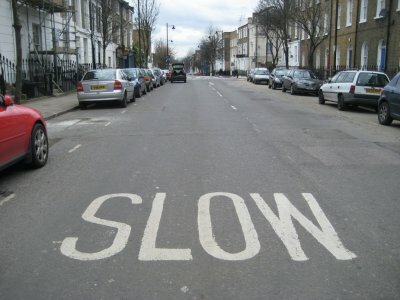 So, you can't call me The Stig, but I will take the title of Captain Slow.